Share What You Love Suite – NEW Promotion! I am excited to “share what I love” and this blog’s whole purpose….sharing ideas and inspiring you to create! So, let me introduce you to this gorgeous early release suite. It’s called “Share What You Love“, a new set of products coming out in the next annual catalogue. 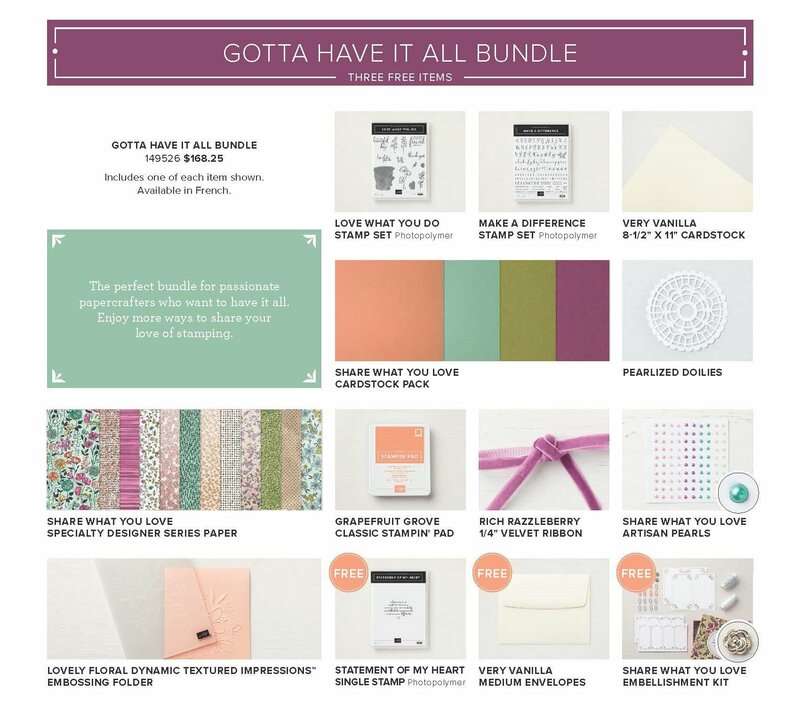 To make it super easy, they have created 3 bundles for you, each one containing free items as an incentive for you to order now. These bundles (and freebies) are only available for a very limited time (May 1-31) so you don’t want to miss out. The items will also be available in the new catalogue (June), but only as individual items. Scroll down for more information about the bundles. The designer paper is one of my favourites. Because of the foil in the paper, the pictures just don’t do it justice. But trust me, it’s just gorgeous. You can do so much with this suite. I absolutely love that they are giving away freebies with the bundles, which means better value for you. I hope to post more “Share What You Love” projects for you soon….stay tuned! If you want to dip your feet in and just test this suite out, then the “Just Getting Started” bundle” may be right for you. 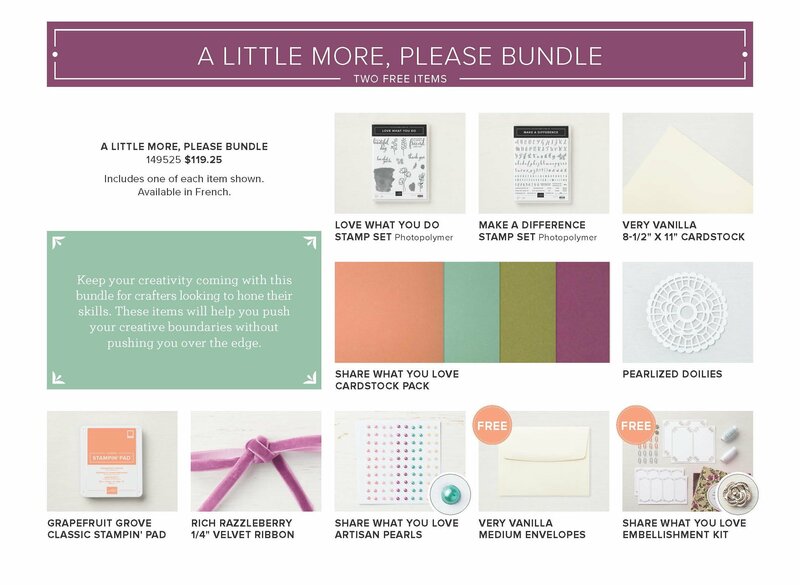 If you are a hobby stamper and want to make more interesting projects, then check out the “A Little More, Please” bundle. If you are a stamping lover, then you will want the “Gotta Have It All” bundle. With each increasing bundle, you get more free items as an incentive. See details below. 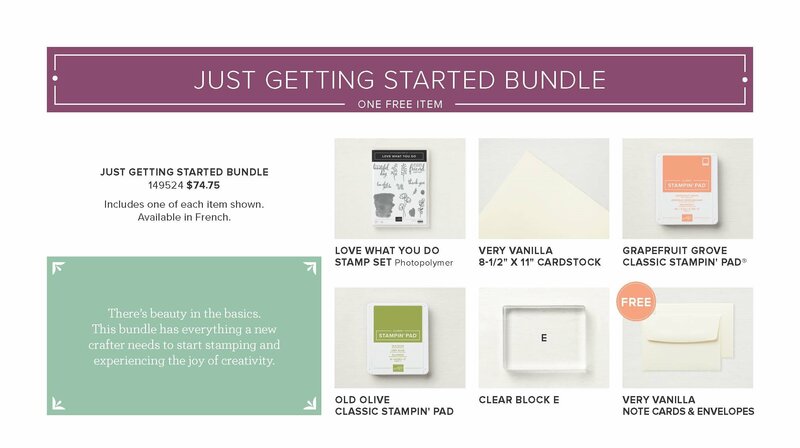 You can click on “Share What You Love” to go directly to my Stampin’ Up online store to purchase these. It’s finally Spring! Well, sort of. In BC, it has been quite rainy still but it will get sunny soon! In the meantime, here is a springtime inspired card post for you to enjoy! This card features the “Hedgehugs” and “Foxy Friends” stamp set and “Perfect Pines” thinlets. My awesome West Coast Creator’s team lead, Ange, created a challenge for us and this is the card I came up with. Let me know what you think? Enjoy and create with purpose! Ever wondered how to minimize the waste of Stampin’ Up’s designer series paper? Curious how much you can get from a “one sheet wonder” project? Me too and the answer is…SO MUCH! This template makes 15 cards with 2 DSP sheets and 2 sheets of cardstock (plus card bases and accessories). I liked this template because it featured “fancy folds” which made for more interesting cards. Technically, you could use leftover scraps but I liked the idea of a coordinating package of cards. My project features the “Birthday Memories” designer series paper, which can be found in the annual catalogue. The paper itself is fantastic – oh, the colours, oh, the patterns! I choose 2 sheets for this project: one as a focal sheet (yellow + party animals) and one to match (blue polka dots + poodles). Plus, I had some leftover scraps of the yellow starburst pattern. If you like this pattern, act now as it will be retiring after May. Note: Cutting template and instructions are from Stampin’ an Ink Trail. Go figure. I actually ran out of Old Olive card stock during this project and was only able to make 8 of the cards. I improvised with some extra scraps too. In the end, my “one sheet wonder” project became more like “three sheet wonder” project. But, given that you can make 15 cards, you get variety, I think that is still pretty good! Using the Party Hat sentiments stamp. Using the Party Hat sentiments stamps. Using the Epic Celebrations (Sale-A-Bration retired) sentiments stamp. Using the Teeny Tiny Wishes sentiments stamp. Using the Cool Treats sentiments stamp. Using the Cake Soiree sentiments stamp. You can use other sentiments (if you don’t have these stamp sets), or other embellishments. It’s all up to you! Welcome back! This post features the “Foxy Friends” stamp set and “Fox Builder Punch”, which can be found in the annual catalogue. Oh my, what a super cute and fun set! This is one of my favourites, hands down. It can be used for almost any occasion, any theme, any age! I decided to make series of cards that framed the critters in a heart shaped cutout, embossed and stamped. Did you know that you can create all types of critters with the fox builder punch? 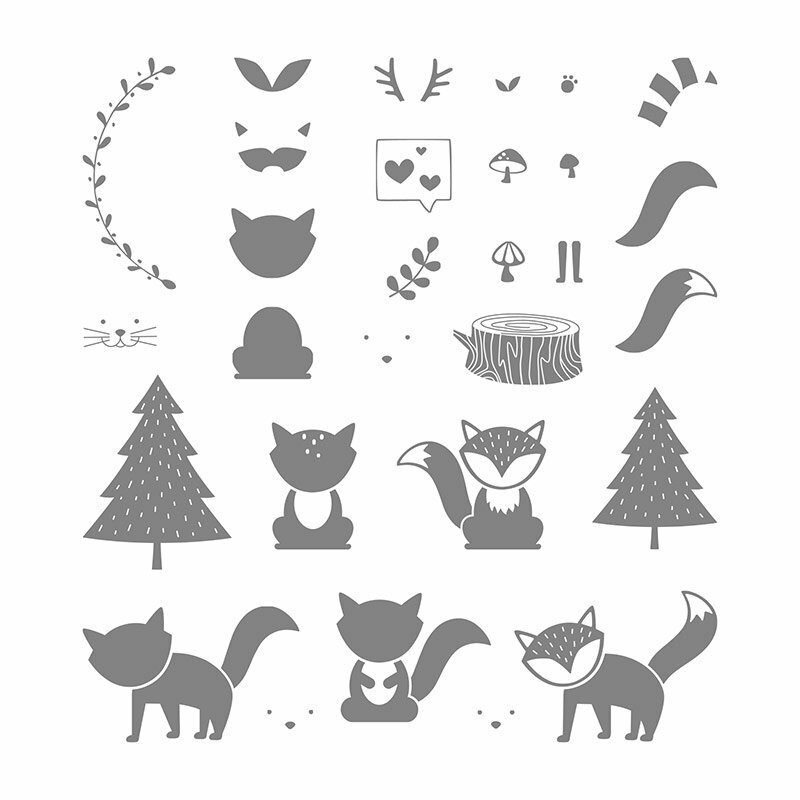 I’ve made a raccoon, skunk, cat, mouse, tiger….. You can use the stamps to create a background with trees, mushrooms, etc. Here is a hint: the trees can be cutout using Peaceful Pines thinlits (if you have this retired product) or fussy cut it easily to add dimension to your card. 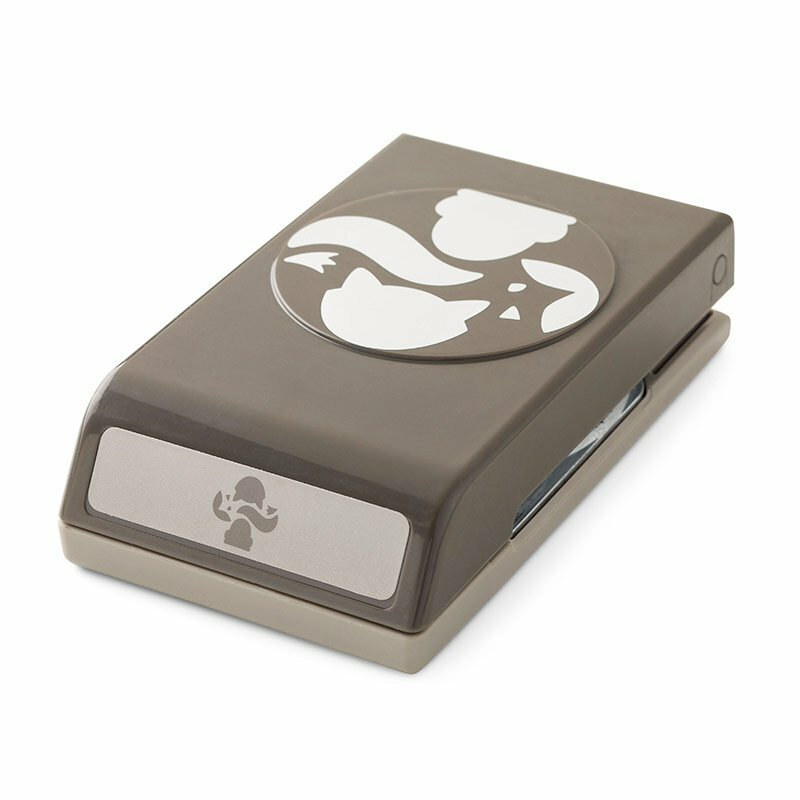 Isn’t it cute that you can chose the type of face to stamp onto the critter too? Too much fun! Have fun with different colour and critter combinations. Use your imagination or look at my pinterest board below for all sorts of cute ideas! The 2018 last-chance list has been published. What does this mean? Some of your favourite items will be retiring at the end of May. This will be your last chance to buy these items, while supplies last. Act quick, as these tend to sell out quickly! Some of my favourites that are retiring and sad to see go….lots of great colours are going but excited to see the new ones come out. Hello again! This post features the “Number of Years” stamp set, which can be found in the 2017-18 Annual catalogue and the “Large Numbers Framelits Dies”. Oh, what a blast I had with this set. About the set… well, as you may have guessed, it’s all about numbers! Age for birthdays, years for anniversaries, grade for school…..I’m sure there is more!? Basically, if you need numbers, well here it is! The matching dies, allow you to cut out the stamped numbers and banners for extra pop. Or, you can use them to cut out numbers with patterned paper or card stock, which would be great too! For this project, I used a technique for added depth by cutting out the 1,3,5 to show the stamped images beneath and added on the 2 and 4 for pop on top. Cut Whisper White card stock 81⁄2 x 51⁄2, score down the middle at 41⁄4 and fold in half. This will be the card base. Cut Whisper White card stock 5 1⁄2 x 41⁄4. This will be the card top. Die cut 1, 3 and 5 from the Whisper White card top. Place the card top over the card base and stamp the corresponding 1, 3 and 5 in the empty places that you just die cut. Attach card top to base with dimensionals. With a scrap piece of Whisper White card stock, stamp 2 and 4. Die cut these using the corresponding die-cut numbers. Adhere to the card top with dimensionals. Stamp your choice of sentiment. For my project, I used the birthday stamp from the “Oh Happy Day Card Kit”. Add rhinestones, if you like but keep this one simple. You want the numbers stand out on their own. Have fun with the colour combinations. You can also use this to celebrate a special anniversary year or birthday age. Use it to decorate and make your own banner. How special would that be for someone, knowing that you customized a card for their occasion. Pretty darn special, I’d say! Hello! 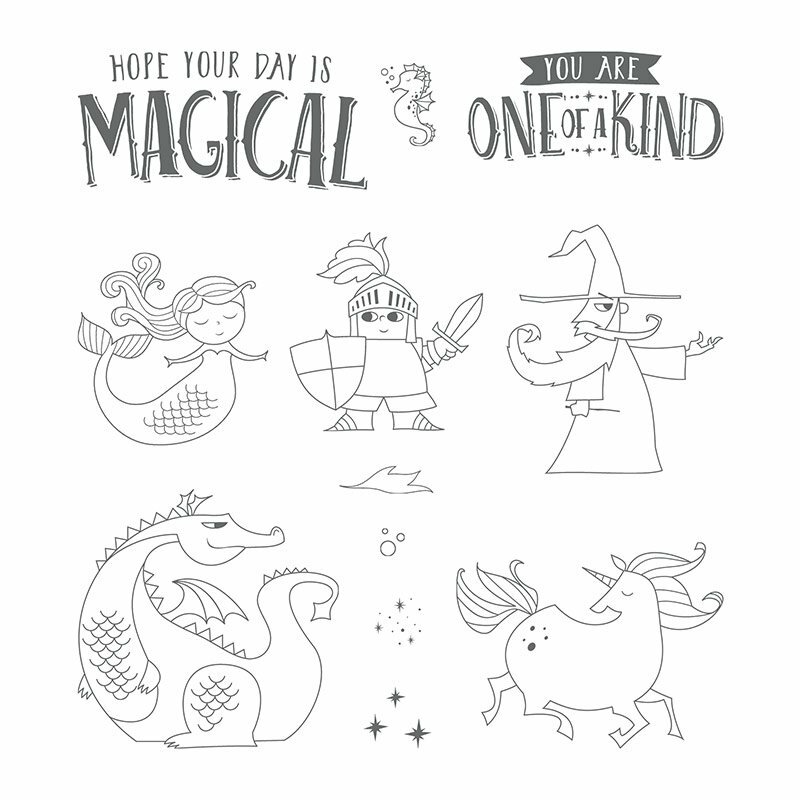 This post features the “Magical Day” stamp set, which can be found in the Occasions catalogue. It comes with a set of very cute fairy tale characters, some decorative stamps and two sentiments. This set can be used for all types of fairy tale themed cards. Mix and match like I’ve done here…super fun! Cut Myths & Magic designer paper 5 1⁄2 x 41⁄4. This will be the background. Tape to card base. Cut Whisper White card stock 51⁄2 x 4. This will be the embossing sheet. Die cut heart shape with Sweet & Sassy Framelit in the middle. Emboss with pattern of choice and set aside. Using Whisper White card stock, stamp the fairy tale image using Memento ink. Colour in with Blends (or your choice of colouring tool). Stamp the banner and sentiment to match the designer paper. I used the Number of Years banner and sentiments from various other stamp sets, like Teeny Tiny Wishes. Die cut the fairy tale image and sentiment. Arrange and adhere around the embossed sheet and heart, using dimensionals. Add rhinestones and other accessories, as you like (bling is good!). 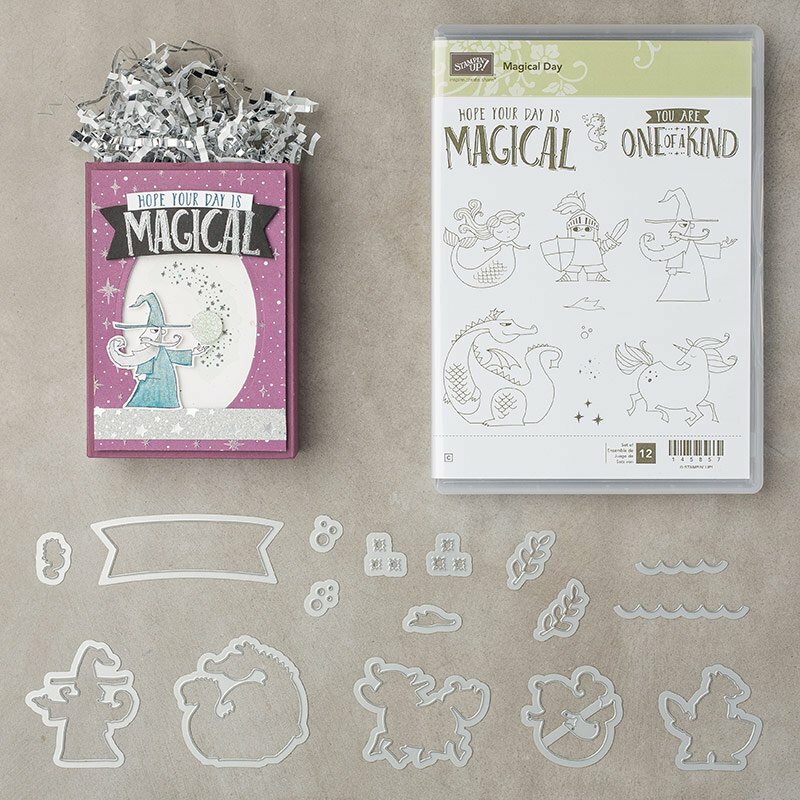 This is the Magical Day bundle that comes with the Magical Day stamp set and Magical Mates Framelits Dies. If you buy the bundle, rather than separately, you save 10% off. Browse page 37 of the Occasions catalogue for other matching accessories like paper and tape and project ideas with this set. It’s so fun to play around with the charaters and colours – there are so many possibilities! Enjoy and stamp with purpose! It’s a beautiful stamping day! This post features the “Beautiful Day” stamp set, which can be found in the Occasions catalogue. It comes with a large butterfly, a large flower and a few sentiments. A simple set but super versatile. Mix and match this set with sentiments from other sets to make all types of cards! I made two cards with the stamp set, both with the butterfly / flower as the main focus. Cut Bermuda Bay card stock 81⁄2 x 51⁄2, score down the middle at 41⁄4 and fold in half. This will be the card base. Cut Black card stock 5 1⁄4 x 4. This will be the outside frame. Cut White (or Shimmery white) card stock 5 x 3 3⁄4. This will be the working sheet for stamping. Stamp the butterfly image and the sentiment. Colour the butterfly, using the Bermuda Bay dark and light Blends markers. Cut Silver glitter paper, in the shape of a small heart. Adhere to the center of the butterfly. Cut a small strand of silver string sequins. Adhere to the heart. Tape the working sheet to the outside frame. Adhere the outside frame to the card base, with dimensionals for added depth. Voila you’ve got a simple but pretty, all-occasion card! Feel free to play around with the colours, whether you choose to use Blends, watercolour ink, pencil crayon, etc. Have fun! 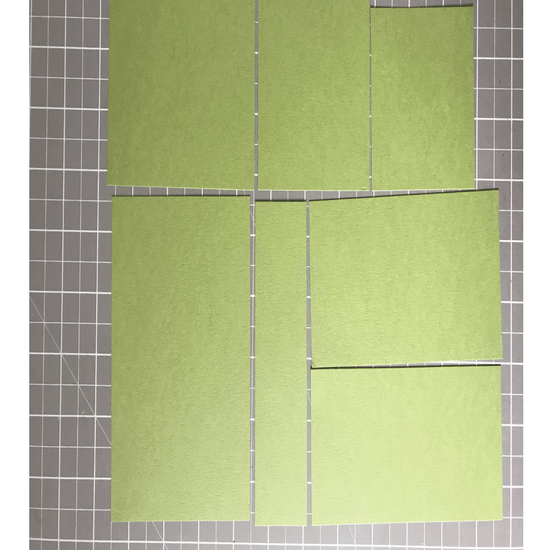 Cut Crumb Cake card stock 81⁄2 x 51⁄2, score down the middle at 41⁄4 and fold in half. This will be the card base. Cut Crumb Cake card stock 5 1⁄4 x 4. This will be the embossed card. Emboss using the Basket Weave embossing folder (or any other pattern of your choosing). Stamp the flower image and cut out with scissors. Colour the flower, using Stampin’ ink and the aqua painters. I chose Power Pink and Old Olive for this one. Stamp the sentiment (I used the “Let’s Celebrate” from a Sale-A-Bration freebie) and cut out using circle Stitched Shapes Framelits. Cut out wood grain paper using circle Stitched Shapes Framelits. Adhere to embossed card. Cut 1⁄4 white doily. Adhere to embossed card. Wrap a white ribbon around the embossed card and tie a small bow. Adhere remaining pieces to embossed card using tape and dimensionals. Adhere the embossed piece to the card base, with dimensionals for added depth. Designs by Ronda Wade. Many thank to the West Coast Creators team!